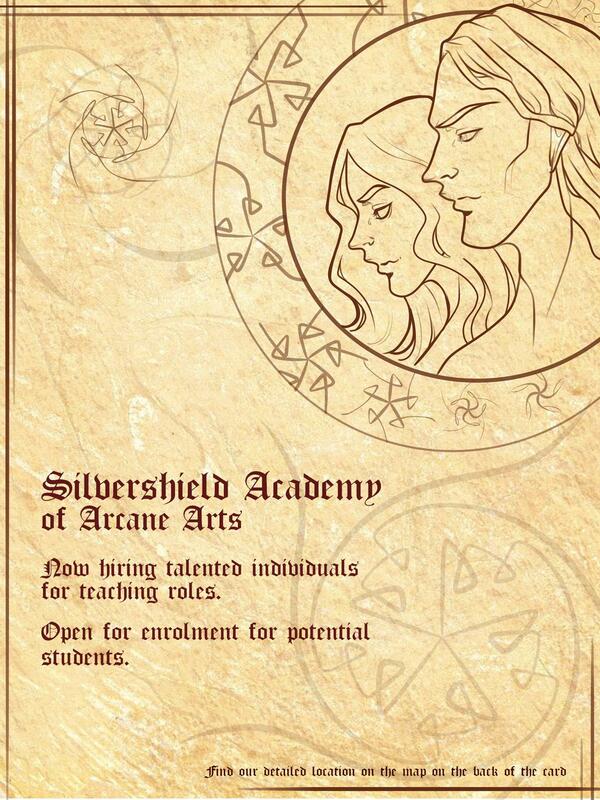 Forums » Guilds » Neutral Guilds » [EU] Silvershield Academy of Arcane Arts! and learn the arcane arts, and train both body and mind. A sight to behold, the Academy has been created in the old Aldmeri ruins of what once was castle Silvershield on the island east of Auridon. Cleaned up and adjusted for habitation it is now ready to be used for your magical pursuits! The ruins had been abandoned for long enough that nature has begun to take over certain parts of the building. Some might call the image it gives charming, mystical or endearing... servants most likely consider it a nightmare to manage. The very heart of the building, it leads to the main rooms of the academy. It is the first room every student needs to pass as they are welcomed to the academy. Burn the candles before the statue at noon or midnight and you will be asked a riddle. Should you guess right, the path to the mysterious Headmaster's office will be opened up for you! And what mysteries await you there...? Would you like to test your newly gained skills or spells in a duel with your fellow student? Or perhaps you were looking for a place to practice? *...you would be surprised how quickly robes can catch fire. ...the heart of the part-... *cough*... the main room for students to learn, integrate and meditate on their upcoming tasks. Offers 3 beds for students and one Prefect bed, to make sure that no mischief or any kind of shenanigans will happen during the evening. - A place for you to do your magical RP, interact with fellow students and enjoy the student/teacher environment. - Assignments, jobs and professions for students to pick from. - An environment that encourages you to come up with your own event ideas, with all the support you need. Week 1: You hear gossip that during one of the classes, a summoning circle has been broken, freeing a Scamp into the academy! The kitchen has been a mess ever since and food quality in the kitchen has been lowered! What can you, as a player do about it? 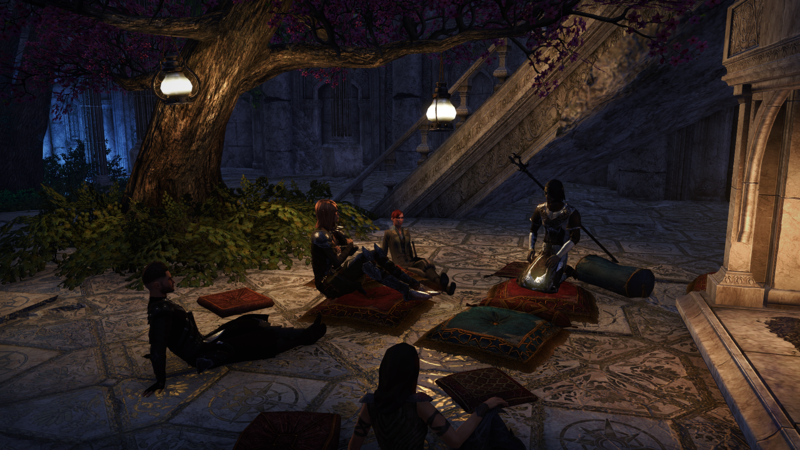 You can bring the gossip into your RP (perhaps the quality of food has been lowered ever since? RP it out!) or organise your own hunting party, bring the scamp's head to one of the teachers and earn yourself a Best Student Award! - be proactive, do not expect to be spoonfed content! The academy will have events organised but we hope for the teachers and students to be able to stand up and propose their own events as well! Let's build fun together! - no drama and attentionwhoring on the Discord chats and otherwise. Please save us the migrenes. ...as a teacher or a student? ..and wait for the recruitment process. 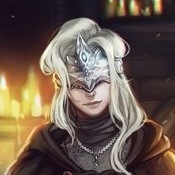 Varvesa Viras - looking for connections/plots/friends and foes! For those interested, the event is about to start! Come to Rindaviir primary (Grand Psijic Villa) and enter the premises of the Academy! What: Join us for an evening of magical (and not so magical!) duelling! The Headmaster decided to open the Academy grounds for potential recruits and visitors to enjoy the open duelling area, open bouffet and socialising. The winner of most of the duels will, of course receive the honour and glory (and bragging rights). Are you a combatant? A practitioner of magical art? Or just a brave fool willing to measure their skills? Come and test your skills? Firstly, how good a fighter/mage is your character? Tell it to DM! 100. Critical hit! your opponent takes 3 HP damage! Bring your wits (and your own riddles!) and put yourself to the test against your fellow riddles! The winner will earn themselves eternal glory as The Wittiest Of Them All! Positions of a teacher of Alchemy and Enchanting are still open! ...we have also opened enrolment for this semester! Q: I would like to be a teacher, not a student! What kind of events, you ask...? 'Living Academy' events - one could say the Academy is an almost living being - it goes through changes and evolves through the storyline. How your character will react to it all...? We have all the teaching positions filled but students and collaborators are always welcome! Forests of Valenwood set on fire: 1-... waitwhat?! Spiders brought to the Academy: ?! Waitwhat?